Let’s find out the colors of Anglerfish. You can find them in dark brown or dark gray. These animals can grab the prey easily due to the fang like teeth angled inward. The head is huge with crescent shaped mouth. 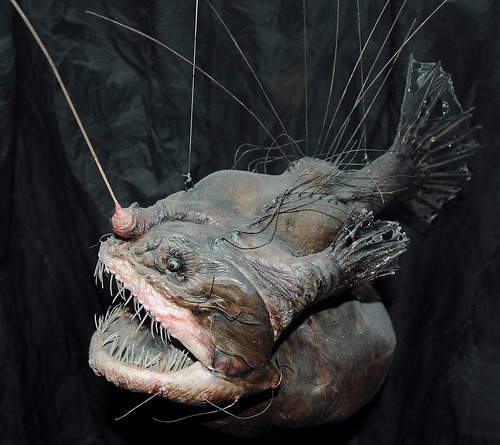 In average, the weight of anglerfish is around 45 kilogram or 100 lb. The length is around 3.5 inches/ 8.9 cm to 3 feet or 1 meter. You can check out the esca at the tip. It is a luminescent organ that you can find in adult female anglerfish. The luminescent organ or esca is very important for the female to get the male attention during the mating process. It is also used to lure the prey in the dark. The bones of anglerfish are flexible and thin. Therefore, it can distend the stomach and jaw. This animal is able to swallow the big prey since it can enlarge the body. 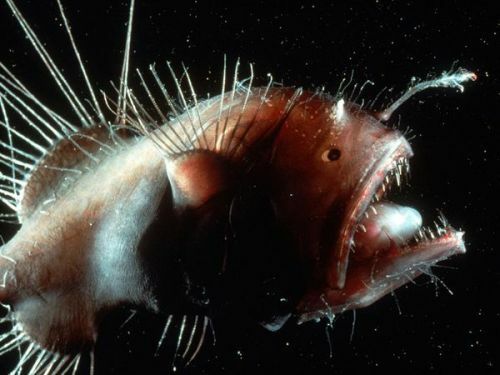 It is not easy for the scientists to observe the anglerfish because of most them live deep down the sea. But the ecologists are challenged to study the fish. They often live in an environment which have scarce of prey. Since the environment is lack of food or prey, this animal can converse their energy. When they swim, they only use 2 percent of the entire energy. 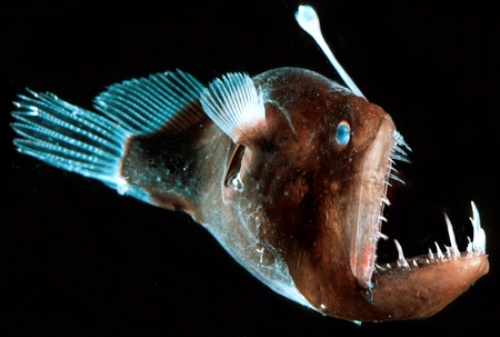 The main characteristic of anglerfish is the method of predation. 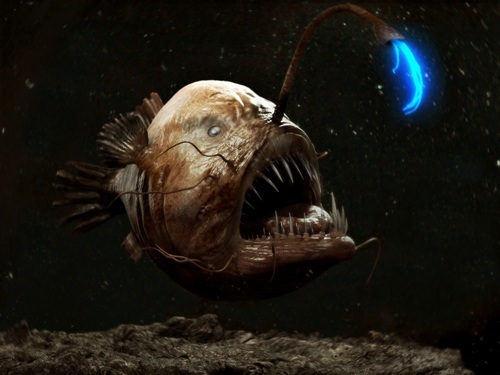 Therefore, the fish is named anglerfish. Illicium is found in the middle of the heads. It is one long filament. It has at least one illicium. Get facts about Angelfish here. There are two categories of preys that the anglerfish in Pacific coast of Cratal American eat. They are teleost fish and crustaceans. 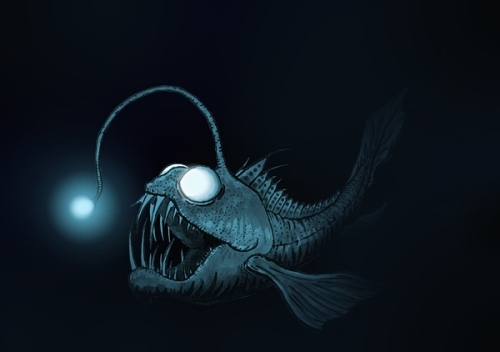 Do you want to comment on facts about Anglerfish?